One of my favorite fast food items before I went gluten free was chicken nuggets. 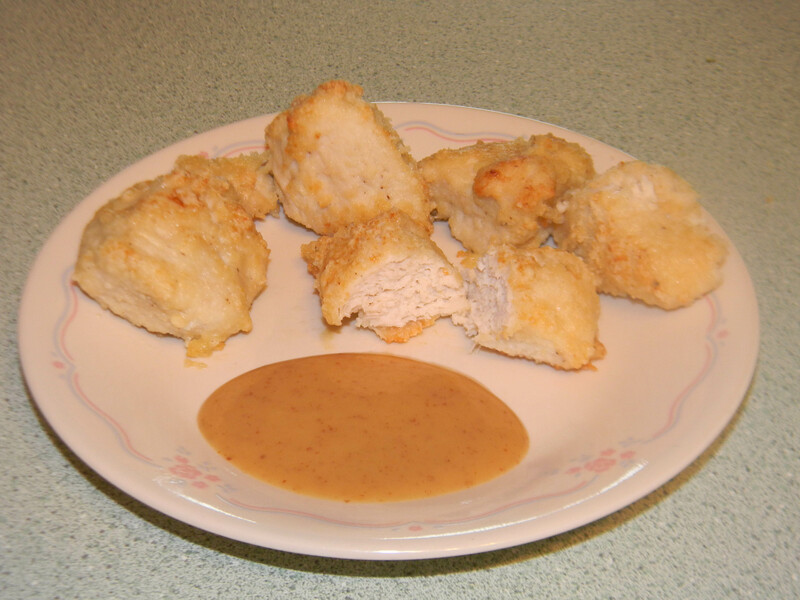 So I am so glad I came across this recipe from Mama and Baby Love for gluten free nuggets. It is so simple and you can easily freeze and reheat. Cut your chicken into nugget size or bigger if you like. Mix the almond flour, parmesan cheese and seasonings together. Dip the chicken pieces into the melted butter and then the flour mixture. Place coated chicken pieces on foil or parchment paper lined cookie sheets. Bake at 375 degrees for 20 minutes or until done. You can serve these plain or with your favorite sauce, gluten free of course. So easy, but I bet it is soooo good!